Precious coral or red coral is the common name given to "Corallium rubrum". Coral like Pearl is a biogenic precious stones. Both Coral and Pearl consists of calcium carbonate that has been deposited by various species of marine invertebrate. 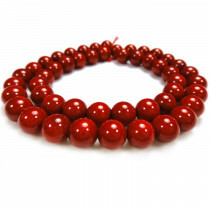 Red Coral Gemstone Round 3mm Beads (118pce Strand) - 40cm/16'" Strand. 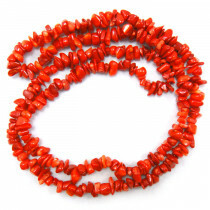 Red Coral Gemstone Round 4mm Beads (~100pce Strand) - 40cm/16'" Strand. 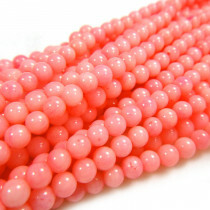 Pink Coral Gemstone Round 4mm Beads (~100pce Strand) - 40cm/16'" Strand. 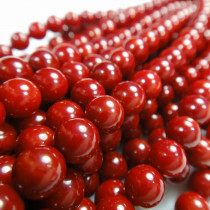 Red Coral Gemstone Round 6mm Beads (66pce Strand) - 40cm/16'" Strand. 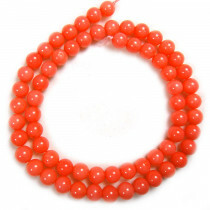 Pink Coral Gemstone Round 6mm Beads (66pce Strand) - 40cm/16'" Strand. 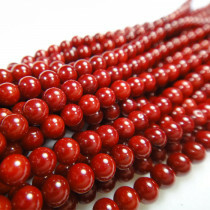 Red Coral Gemstone Round 8mm Beads (~50pce Strand) - 40cm /16'" Strand. 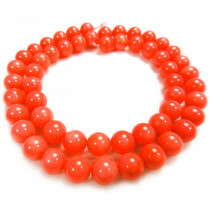 Pink Coral Gemstone Round 8mm Beads (53pce Strand) - 40cm/16'" Strand. 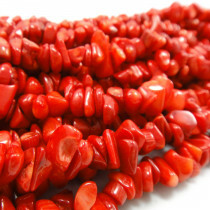 Red Coral Gemstone Chips 5x8mm (~160pce Strand) - 91cm /36'" Strand. 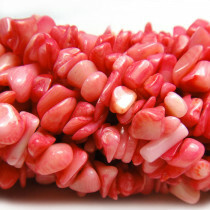 Pink Coral Gemstone Chips 5x8mm (~160pce Strand) - 91cm /36'" Strand.